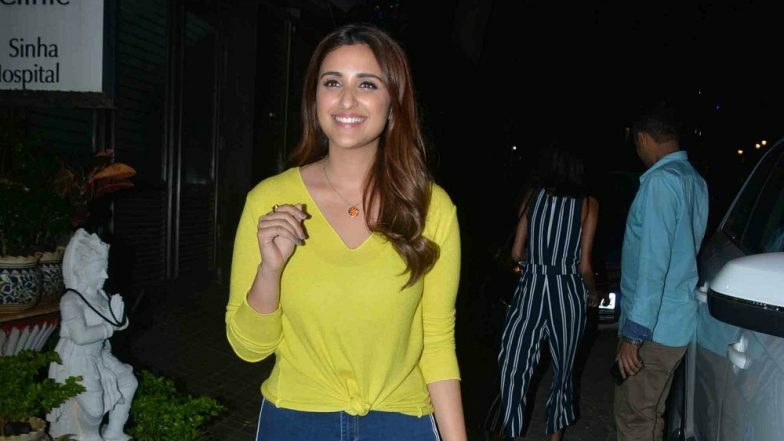 Mumbai, April 9: Actress Parineeti Chopra has been devoting two hours daily to watch match footage and public appearance videos of Saina Nehwal to get into the mind of the ace badminton player. The "Ishaqzaade" actress has been prepping intensely for the character to ensure she is able to get Nehwal's mannerisms and body language as well as how she conducts herself on and off the court, on point. Parineeti Chopra to Romance Ram Charan or Jr NTR's in SS Rajamouli's RRR? "The most important advice that I got from my entire training team, Amole Gupte sir and everybody was that I must watch Saina's matches. I haven't watched that many badminton matches and I really want to play exactly the way she plays. "So, watching her matches how she drops her foot, how she uses her hand, how she uses her racket, her aggression on the court that is something that I really want to imbibe as a part of my personality. So, I have to watch all her matches and videos," she added. Produced by T-Series' Bhushan Kumar and Divya Khosla Kumar, the biopic is set to release next year.